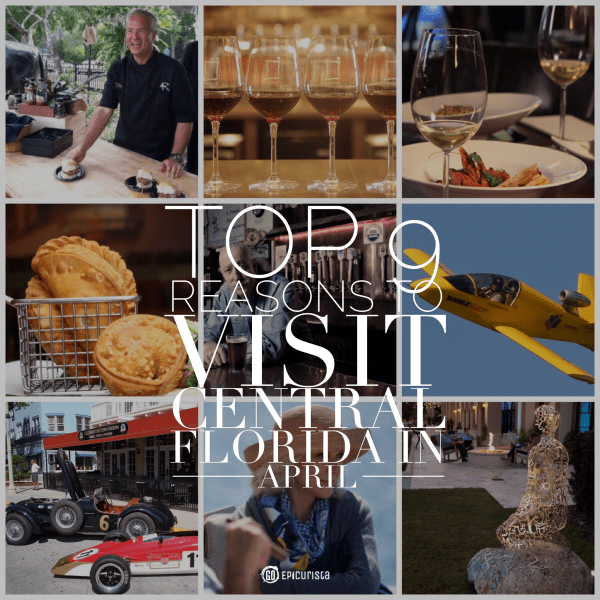 Spring is in full swing and Central Florida is a wonderful place to be in April, especially if you love food and wine. So get out there, get together with friends and celebrate with great food, wine, beer and cocktails in Central Florida in April. This is a great time of year to visit, the weather is gorgeous, many communities are hosting events featuring their best restaurants, chefs are offering menus with fresh local bounty, Kennedy Space Center is blasting off rockets into space and so much more. There is more to Central Florida than theme parks, although even they are offering foodie experiences not to be missed. These Central Florida events are all about the food, from the best of the town to the love of chocolate, blueberries and of course bacon! ^ April 9 – 12, be inspired to travel to Italy at the 18th Annual Festa Italiana in Tampa including a wine tasting showcasing over 70 Italian wines antipasti and desserts, the Bocce Ball Invitational, and food, music and art featuring over 30 of Tampa Bay’s top restaurants and culinary experts showing off their Italian cooking skills. ^ On April 10, the Central Florida Hotel and Lodging Association puts on Orlando’s Biggest Street Party, Bacchus Bash, at the Orlando Premium Outlets on Vineland Avenue featuring over 70 food and beverage booths from Orlando area hotels and restaurants to benefit Central Florida Hospitality Education. ^ Tampa has plenty of food and drinks to celebrate and these events feature local restaurants, breweries, wineries and spirits. On April 11, indulge at the 30th Annual Best of Tampa Bay at the Straz Center for the Performing Arts. On April 12, you get a Taste of South Tampa at George M. Steinbrenner Field. ^ If you love bacon then the America Loves Bacon Festival is where you should be on April 11, in Tampa’s Florida State Fairgrounds where you get to sample from bacon vendors, enjoy live music and cooking demonstrations. ^ If you love blueberries, visit the inaugural Florida Blueberry Festival, April 11-12, held in the northern Tampa Bay region of Brooksville and take part in a fun blueberry stomp, enjoy gourmet foods and food trucks and live entertainment. Then on April 18, visit the Mount Dora Blueberry Festival for blueberry pancakes, wine, beer, and desserts! ^ On April 15, the foodie town of Central Florida hosts the ultimate foodie festival, The 30th Annual Taste of Winter Park. The Winter Park Farmer’s Market welcomes more than 40 chefs, bakers, caterers and confectioners for a delicious evening. Your ticket includes unlimited samples, beverages and desserts. 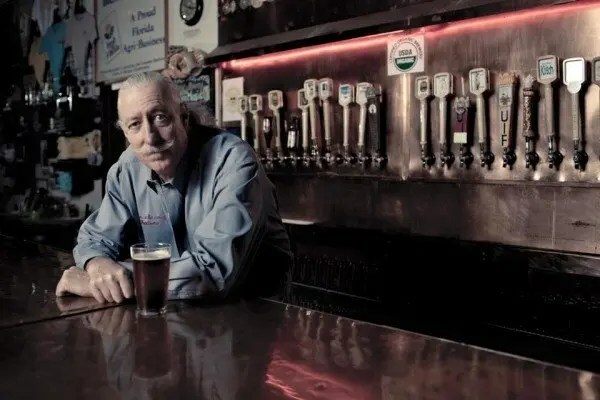 ^ On April 16, the historic Dubsdread ballroom is the site for Taste of College Park, a casual festival hosted by the Rotary Club of College Park featuring local restaurants and vendors with food and wine samples, a silent and live auction and live music all to benefit local charities. ^ Chocoholics rejoice at Florida’s only celebration of everything chocolate! The Festival of Chocolate held April 18-19 at the Museum of Science and Industry (MOSI) in Tampa FL, features wine and chocolate pairing classes, a vendor showcase to purchase various chocolate treats and temptations including cookies, cakes, brownies, cupcakes, ice cream and truffles from some of the areas most acclaimed dessert and confection companies, the “Best of” Chocolate Indulgences competition, the Cocoa Couture Fashion Show featuring local fashion designers’ one of a kind dresses made out of candy wrappers, Cooking Demonstrations presented by Award-winning Pastry Chefs, book signings, chocolate-themed kid competitions and live music for the sweetest two days in Florida. ^ On April 19, Taste of Pointe Orlando offers samplings of food from Pointe Orlando restaurants including: Adobe Gila’s, Copper Canyon Grill, Funky Monkey Bistro & Bar, The Pub, Tommy Bahama’s Restaurant & Bar, B.B. King’s Blues Club, Cuba Libre Restaurant & Rum Bar, Marlow’s Tavern and Taverna Opa. Proceeds benefit the Florida Hospital Esophageal Cancer Program. ^ On April 25, Get a taste of 20 of the best restaurants in the oldest city in America at Taste of St. Augustine. Enjoy local cuisine, breweries, wineries and music benefiting EPIC Behavioral Healthcare. Admission is $5 and food & beverage is available for purchase with tickets ranging in price between $2-$5 each. Discounts to area attractions including Ripley’s Believe It or Not, Marineland and St. Augustine Ghost Train also included so make a weekend out of it. Runners can also participate in the Race to the Taste 5K. Wine lovers have plenty of Central Florida events to choose from in a variety of settings. These events are great to find new favorites but you may want to reference these tips to taste like a pro. ^ Tim’s Wine Market locations throughout Central Florida host various complimentary wine tasting events throughout the month as well as more elaborate tastings for a fee and advanced purchase required as events sell out fast. 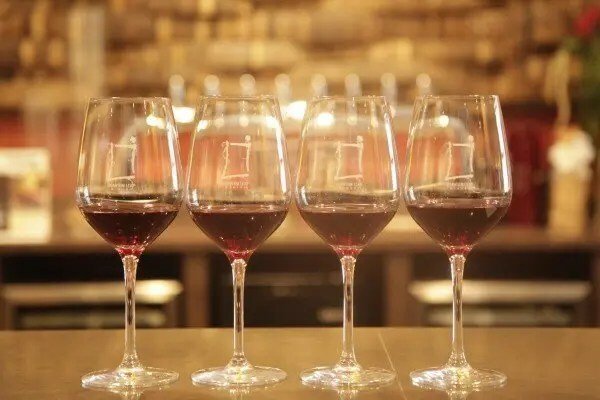 At their North Orange Avenue location on April 8, taste the wines of Rhone Valley and on April 29, explore the differences between California and Oregon Pinot Noir. stroll along picturesque Thornton Park in Downtown Orlando and enjoy artists works for sale along the streets and inside local businesses. A $10 wristband (available at Olde Town Brokers) gets you a free pour of wine at various locations. 6:30-9:30 p.m. Summerlin Avenue and Washington Street. ^ On April 10, Quantum Leap Winery, Florida’s only sustainable winery, hosts Wine Down from 7pm-10pm. You get a chance to taste their wines made right here in Orlando from grapes sourced from around the world, listen to live music and enjoy local food trucks. Located at 1312 Wilfred Drive, Orlando FL. Free to attend. Wine and food available for purchase. ^ Every Friday, starting on April 10, join the wine experts at Wine on the Way in their facility in Winter Park for an intimate tasting of 90+ points rated wines. Each week offers different selections of 6 wines and there are usually some special surprises. This online wine retailer demystifies the wine buying process by offering only high rated wines from all over the world. ^ On April 11, Wine Women & Shoes presented by Winnie Palmer Hospital for Women and Babies takes place at SeaWorld Ports of Call in Orlando from 2pm – 6pm in what promises to be a fun afternoon of hors d’oeuvres, fine wines and the best shopping from all around Central Florida. 100% of the proceeds go towards Second Harvest Food Bank of Central Florida. ^ On April 16-19, meet winemakers, taste from over 800 domestic and international wines, and find new favorites to enjoy at the 29th Annual Sandestin Wine Festival. ^ Bern’s Steakhouse, the only Florida restaurant to make the James Beard Foundation Awards Finalists list for their outstanding wine list is hosting Bern’s Wine Fest No. 18 from April 16 – 20, with a variety of wine tasting events for the wine connoisseurs. ^ On April 22, Orlando Science Center hosts Reading between the Wines, an intimate evening of wine-tasting and food sampling featuring an in-depth presentation by New York Times best-selling author Tim Dorsey and a silent auction. 100% of the proceeds goes directly to the Adult Literacy League. ^ On April 23, take a stroll along historic downtown Winter Garden during the Spring Wine Walk from 6pm – 9pm, and enjoy wine tastings and snacks for $25pp to support the community choir. Located at Downtown Pavilion & Farmer’s Market, 104 S. Lakeview Ave, Winter Garden FL. ^ On April 25, The Florida Aquarium hosts the 13th Annual SeaGrapes Fine Wine & Food Festival from 8pm-11pm where you get to explore ocean wildlife while enjoying over 150 wines and foods from 25 of the best restaurants in Tampa. ^ On April 24, The 14th Annual Art of the Vine features outstanding cuisine from Orlando’s restaurants with a selection of wines, martinis and beers. Exhibiting artists will showcase their original works and proceeds benefit New Hope for Kids. ^ On April 24, celebrate la dolce vita at Loews Portofino Bay Resort’s Harbor Nights. Sample a variety of foods, wines and enjoy live music in event designed to capture the romantic ambiance of the Mediterranean under the twinkling lights of the Harbor Piazza. 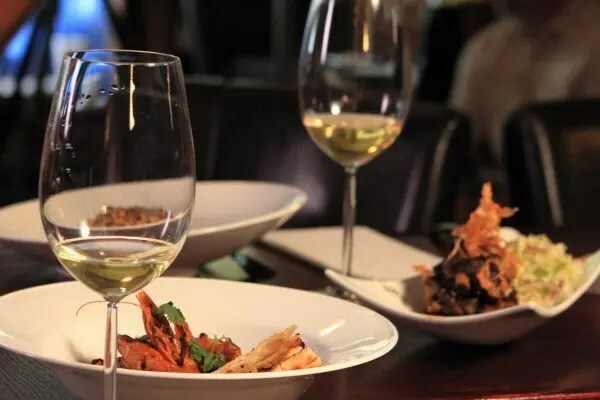 ^ On April 7, four-time James Beard semifinalist chef Hari Pulapaka and Napa winemaker Juliana McBride of Crosby Roamann team up for Cress Restaurant’s Premium Wine Dinner in Deland. The four course dinner with wine pairings, 6:30pm – 8:30pm. Bottles will be available for purchase and signing. ^ On April 17, Hemisphere Steak & Seafood Restaurant at Hyatt Orlando International Airport hosts their monthly wine dinner featuring four courses with wine pairings by Banfi Vineyards. ^ On April 17, dine at a lakefront gourmet dinner with cocktails prepared by local celebrity chefs and enjoy student art show, live entertainment and sunset cruise on the lake at the Windermere Spring Fest Dinner. $100pp at The Pines at Windermere. ^ On April 18, Chef Henry Salgado’s Txokos Monthly Paella Party at East End Market in Winter Park FL celebrates the taste of the Basque Country every third Saturday of the month. From 12 pm – 3:30 pm, enjoy live music by Rumba Brothers, all you can eat Paella and house made sangria or cerveza for only $22 per person. 3201 Corrine Drive, Orlando FL. ^ On April 22, Hook & Ladder Wine Dinner at Cuvee 103 Bistro & Wine Bar in Clearwater Florida will feature reception and four course dinner with the award-winning wines from Russian River Valley Sonoma presented by guest hosts winery president Michael DeLoach and Chef Jason McFarland. ^ On April 22, It’s a special Earth Day Celebration at K Restaurant with award-winning chef Kevin Fonzo’s spectacular farm-to-table cuisine and special guests Mel & Jaime Masters and their collection of sustainable and organic wines. Event organized by Tim’s Wine Market. ^ On April 7, join Orlando Brewing as they celebrate 9 years of crafting organic microbrew in Central Florida with 9 cask conditioned specialty kegs, $2 off all Orlando Brewing beers on tap, $4 commemorative anniversary IPA glasses, Live music performances by Free The People and Bellows from 7PM-12AM, games of corn-hole, darts, and life-size Jenga, Aaron of the Bias Palate Catering with gastropub style grub. 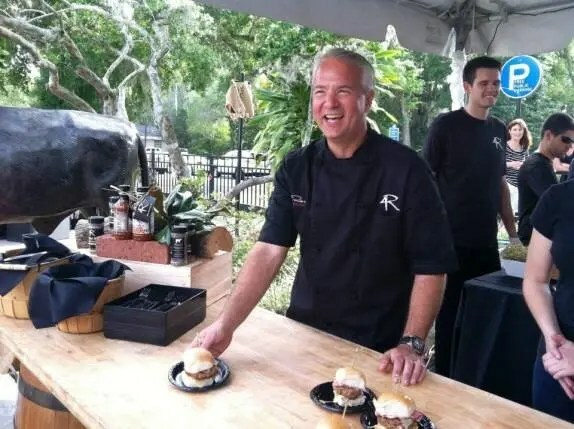 ^ On April 11, Tampa Bay Beer Pairing Dinner at the Central Florida Zoo & Botanical Gardens in Sanford features four courses designed by Chef Brian Laparske paired with beers from Tampa Bay Brewing Company including a specialty beer brewed exclusively for this dinner. $80pp includes access to Brews Around the Zoo following the dinner. ^ On April 11, spend an evening strolling through the zoo and sampling unique craft beers at Brews Around the Zoo at Central Florida Zoo & Botanical Gardens in Sanford. The evening will also feature select wines, live music, tasty bites from local restaurants, and animals from around the globe. Happy 9th Anniversary Orlando Brewing! ^ On April 8 & 9, Learn all about Re-Creating the Cupcake from three-time Food Network Cupcake Wars champion Hollis Wilder at East End Market’s Audubon Park Exchange from 6:30 pm – 8:30 pm. Create three savory cupcake recipes, watch side dish demonstrations and sample some of Hollis’ famous cupcakes. You can purchase her cookbook “Savory Bites: Meals You can Make in Your Cupcake Pan,” with 100 exciting recipes for breakfast, lunch, and dinner, such as Apple-Sausage Breakfast Cakes, Fig and Blue Cheese Tarts, Pumpkin Risotto. Savory Bites proves a cupcake pan isn’t just for sweets and is sure to please any palate or budget. ^ Want to learn more about craft spirits and cocktails? Look no further than Florida’s own St. Augustine Distillery, a business collaborative made of a group of local dreamers who wanted to bring the national movement of distilling super premium, small batch spirits to the coolest small city in America, St. Augustine. With access to locally grown sugar cane, wheat, corn and citrus they have developed finer quality spirits that are worth the taste. On Saturdays, they host classes which include 1.5 hours of education, a welcome cocktail, ingredients and instructions to make your own craft cocktails and light snacks. Check their website for details. This month’s classes include Gin 101 & Gin Cocktails and Molecular Mixology bringing a little “weird science” to the bar on 4/25, Cocktails 201: The Next Level for those with a bit more experience with cocktails and Spring Farm to Glass Workshop using fresh seasonal ingredients on 4/11, and lastly Cocktails for a Crowd with Kara Newman, author and Spirits Editor of Wine Enthusiast Magazine on 4/18. 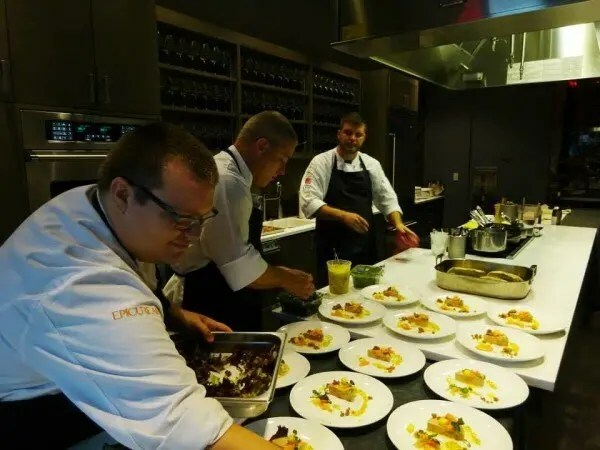 ^ The Epicurean Hotel in Tampa, FL is not only the place where foodies sleep but also the place where foodies learn. The Epicurean Theater hosts Master Chef Winner Whitney Miller on April 10 for a cooking demonstration of her favorite Southern inspired Spring recipes. The class includes beverage pairings and three course meal for $65pp. On April 11, it’s France vs. Italy Wine Smackdown as Jerry Greenfield, the Wine Whisper, takes you through the best of Old World wine regions for a serious smackdown as you taste three wines from each country and learn which foods pair best with the wines. Chef Max Sherard will prepare tasting plates to complement each of the wines. On April 22, It’s Sushi Roll Out with Chef Viet Vo showing you how to master the craft of making sushi rice, rolling sushi and preparing vegetables and sauces. ^ On April 10-11, The 2015 APC National Pie Championships will take place at the Caribe Royale in Orlando where you can hone your pie-making skills and amateur pie makers, professional bakers/chefs and commercial pie companies from around the country and Canada will compete to be named best pie in a variety of categories. 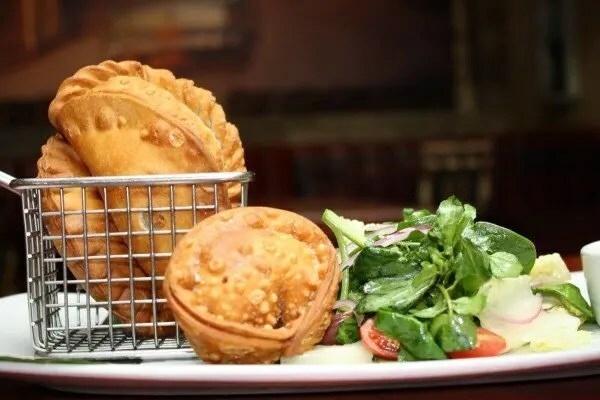 ^ April is Empanada Month at Cuba Libre Orlando. On April 8, National Empanada Day, all Mamá Amelia’s Empanadas will be just ONE dollar at Happy Hour from 5-7 p.m. and on April 23, you get to learn how to bake, fill and eat empanadas with Executive Chef Jose Gonzalez at a special interactive tasting event. ^ On April 24, the nation’s first ACF Chefs sanctioned Green, Sustainable, and Local Food Cooking competition is taking place in Deland Florida. The event is free to the public, but space is limited. Watch amazing chefs and world-renowned ACF certified judges, including one of only 67 Certified Master Chefs. Held at Artisan Alley Garage on during the Artisan Alley Farmer’s Market. It seems no matter which form of transportation, these Central Florida events are packed full of fun! ^ On April 10, The Orlando Conductor Crawl heads into historic Downtown Sanford from 6p – 10p. Your first stop is at Kasa Orlando in Downtown Orlando. After your first cocktail, board the SunRail to visit the hip and kitschy bar The Imperial at Washburn Imports (It’s inside a cool furniture store!) and then head back to Downtown Orlando to finish off at Latitudes roof top. Purchase your ticket in advance as space is limited. ^ On April 11, enjoy a bike ride around beautiful Lake Ivanhoe in Orlando and a pancake breakfast at the Hammered Lamb during The Pedalpalooza and Pancake Breakfast starting at 9am at Retro City Cycles. 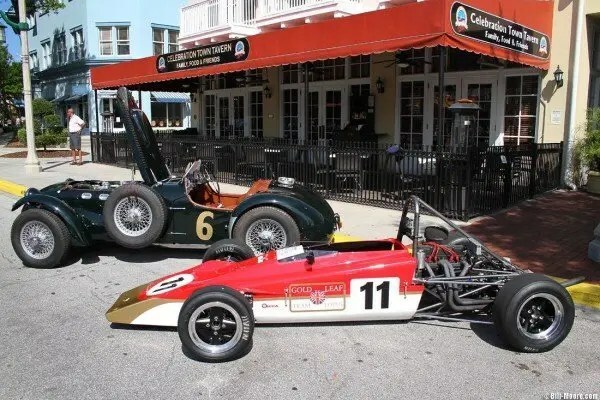 ^ On April 11, get up close to 250 of the world’s most exotic cars, race cars and Hollywood movie cars, all lined up for concourse judging along the lakefront promenade at the Celebration Exotic Car Festival in the Town of Celebration. Ferrari, Maserati, Lamborghini, Lotus, Aston Martin, Bugatti, Spyker, Saleen, McLaren, Pantera, DeLorean, and other ultra-exotic marquees will be displayed and judged, culminating with an awards presentation starting at 3 p.m., where the owners will drive their winning cars across the red carpet to receive their trophy! ^ On April 21-26, watch the Breitling Jet Team as they make their first U.S. appearance as well as the spectacular USAF Thunderbirds at the 41st Annual SUN ‘n FUN International Fly-In & Expo in Lakeland, FL. 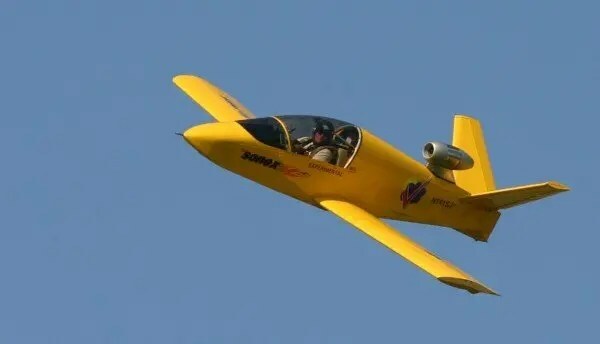 Event includes daily airshows including tight formation flying and aerobatics, an International Food Fair, entertainment, exhibits, youth activities, static aircraft displays, Aerospace Discovery at the Florida Air Museum. ^ On Thursdays and Sundays, pedal your way around historic downtown Sanford for one of the most unique pub crawls in Central Florida aboard Limo Cycle. The limousine of party cycles will take you and your friends to three stops during this two hour tour. You receive a drink at each stop and additional drinks and snacks are available for purchase on the cycle. Tours are also available in Daytona Beach. ^ On select dates, Meet an Astronaut and Have Lunch with an Astronaut events where you get a chance to meet and have lunch with veteran NASA astronauts. ^ On April 10, witness SpaceX Rocket Launch from three different viewing areas, the sixth of 14 resupply missions by SpaceX for NASA, delivering food and supplies, including new science experiments and technology research, to the crew aboard the International Space Station (ISS). ^ On April 24-26, celebrate the Hubble Space Telescope’s 25th anniversary with special displays, presentations, educational activity booths, astronaut meet and greets and traditional star-gazing events. 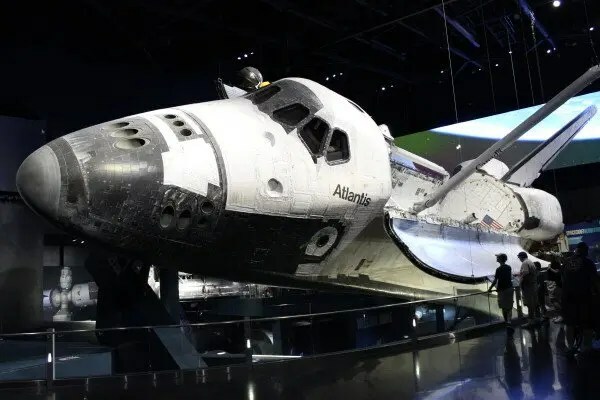 See a breathtaking projection mapping of the Hubble Space Telescope’s inspiring imagery and enjoy an art display of Hubble’s most memorable photographs inside Space Shuttle Atlantis, including a special “Salute to Hubble” underneath Atlantis. ^ Don’t miss the Shuttle Atlantis and interactive exhibits, the IMAX movies and Orbit Cafe with a brand new menu including make your own salad bar using hydroponics, sandwiches, burgers, pizzas and desserts including the award-winning Strawberry Shortcake. ^ On April 10-12, Megacon 2015 comes to Orlando’s Orange County Convention Center for all comic book, sci-fi, anime, fantasy and gaming fans. Special guests include Stan Lee, Hulk Hogan, Norman Reedus of The Walking Dead and many more stars. ^ On April 10-19, the 24th Annual Florida Film Festival presented by Enzian Theater in Maitland, an Oscar®-qualifying festival, premiering the best in current, independent, and international cinema. Through ten days of 170 films and first- class events, film lovers mingle with filmmakers and celebrities over hand-crafted cocktails and a delicious menu at Eden Bar and inside the theater. ^ On April 10 – 19, Sarasota Film Festival returns for its 17th year with more than 180 films. 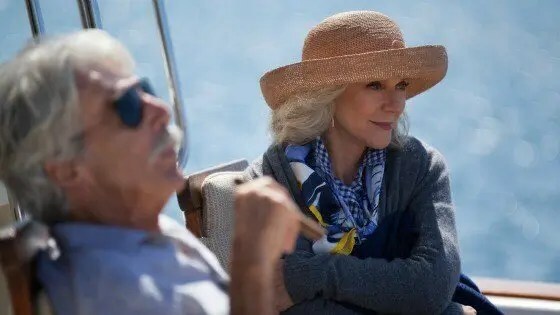 Don’t miss the opening night film party, the Bayfront Cinema Tropicale Celebration an extravaganza of fashion, food and film, the closing night gala and special events with celebrity guests like Jane Seymour and Blythe Danner. ^ On April 11, Enjoy live blues under a starry sky inside Leu Gardens in Orlando at Jazz N’ Blues Stroll. Pack a picnic dinner and drinks and bring chairs or blankets. 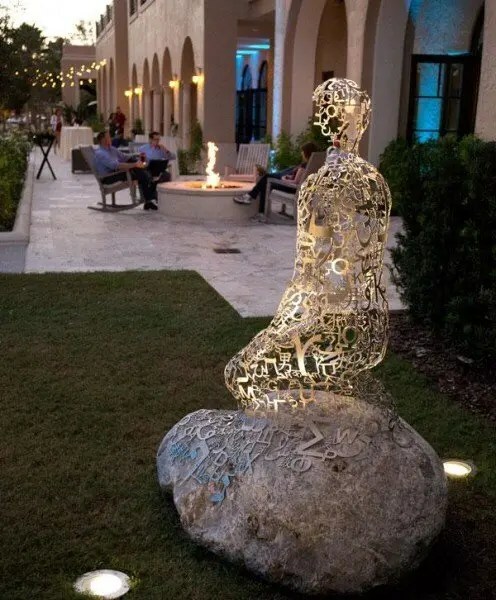 ^ On April 17, The Alfond Inn Get Your Jazz On returns with live jazz music in their beautiful courtyard so grab a blanket or bring a lawn chair, enjoy a glass of wine, and taste samplings of Chef Kusche’s award-winning roasted pig with accompaniments as well as happy hour. ^ On April 25 – May 16, it’s all about hot Latin music, food and much more at Viva La Musica at SeaWorld Orlando, included with park admission. ^ Now through Apr. 18, on select nights, Universal Orlando Mardi Gras brings The Big Easy to Central Florida, with Cajun and Creole cuisine, street performers, lively music and fistfuls of beads. Included with annual pass or Universal Studios admission. Check out Tips to get the most fun out of Universal Studios Mardi Gras Part I and Part II. ^ Now through April 26, on select dates, Busch Gardens Food & Wine Festival presents nine food areas with gourmet fare such as duck confit and venison chilli, coconut shrimp cigars, braised lamb, roasted pork belly, and griddled cheese cake sandwiches plus 50 craft beers and 50 wines. Live concerts included with your admission ticket and food and beverage are available for individual purchase. Plus, enjoy all the thrill rides and animals too. 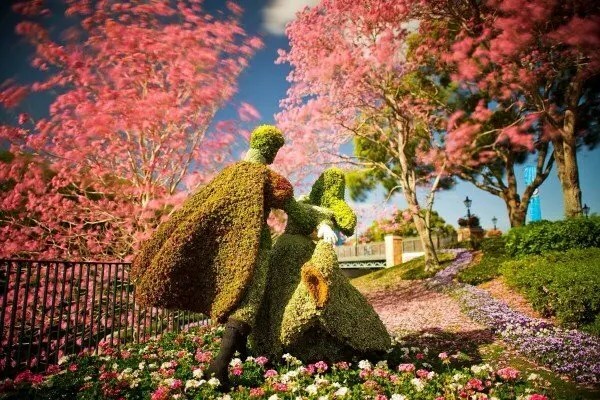 ^ Now through May 17, EPCOT International Flower & Garden Festival celebrates all things green with millions of blooming flowers and a collection of specially-themed topiaries. Top horticulturists offer helpful gardening tips and demonstrations of techniques. The Garden Rocks Concerts, featuring unforgettable live music every Friday, Saturday, and Sunday and the Outdoor Kitchen food kiosks make this a can’t miss event included with theme park admission. So many fun Central Florida events this April provide plenty of reasons to visit. If you live in Central Florida, I hope you get out there and enjoy all these opportunities to get together with friends and enjoy some great food, wine and fun in our own backyard. OMG – I need to clone myself to make it to all these great events!! I feel the same way! Wish I could be like Michael Keaton in the movie Multiplicity! So many great events are happening, it’s an exciting time to be in Central Florida. There are so many events to choose from! Thank you for this list! April is definitely a happening month! I hope you get a chance to get out there and enjoy several of these fun events. Thanks for stopping by GO Epicurista!